What, precisely, is Ra’s al Ghul’s deal? Like, what does the League of Assassins do on days when it’s not dealing with succession-related matters? During his on-screen tenure on Arrow, Ra’s al Ghul hasn’t really done anything that doesn’t somehow relate back to the inner workings of the League, first dealing with the traitor Malcolm Merlyn, then killing Oliver to settle Merlyn’s unpaid debt, then installing the revived Oliver as the heir to the demon, and then having his newly chosen successor hunting down his own daughter Nyssa so as to remove any question as to who is next line. Even tonight’s big closing twist, as Ra’s al Ghul tells Oliver he will use the toxin from his Hong Kong days to destroy Starling City, isn’t so much about some larger ideology as it is affirming Oliver’s commitment to the League. The show has spent so much time emphasizing Ra’s al Ghul’s psychotic adherence to the League’s guiding principles that it’s easy to miss just how inward-looking this all is, that those guiding principles themselves remain only vaguely defined. I mean, even allowing for the fact that the League is all about reclaiming the original definition of “assassins,” it still feels a little weird that the new Ra’s can just up and renounce killing if he so chooses. It’s not that this Ra’s al Ghul necessarily needs to hew closer to previous incarnations, with grandiose plans of eco-terrorism designed to bring the world back into balance by any means necessary. But it’s hard to get a clear read on what Ra’s al Ghul’s motivations and intentions actually are beyond just perpetuating what the League already is. Malcolm Merlyn wanted to level the Glades as payback for Starling City’s degradation in general and his wife’s death in particular. Slade Wilson wanted to destroy Oliver Queen’s life as revenge for his former friend’s role in Shado’s murder. Ra’s al Ghul doesn’t appear to have any so primal a motivation, hence why he can so readily move from murderous force of nature to a more ambiguously noble figure, trapped by the requirements and the ceremonies of his appointed role without much apparent interest in transcending it. Basically, this Ra’s al Ghul has to be vaguely pointless in his motivations, for otherwise I’m not sure it would make any sense to spend an entire episode tracking down one’s daughter and marking her for execution only to turn around and betroth her to one’s chosen heir, whom she hates. This is a Ra’s al Ghul long, long after the rot has set in—which probably describes all other Ra’s al Ghuls to one extent or another, but this one is distinguished by the fact that, beyond his apparent invincibility in personal combat, he really doesn’t do that much. What got me thinking about all this is how tonight’s episode uses Oliver Queen. 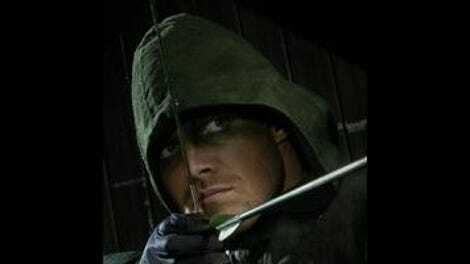 There’s certainly a way to do this episode in which his conversion from Oliver into Al Sah-him takes up more of the focus, as it’s in theory just about the most fascinating thing that could happen to Oliver: How, precisely, would you go about breaking the Arrow? 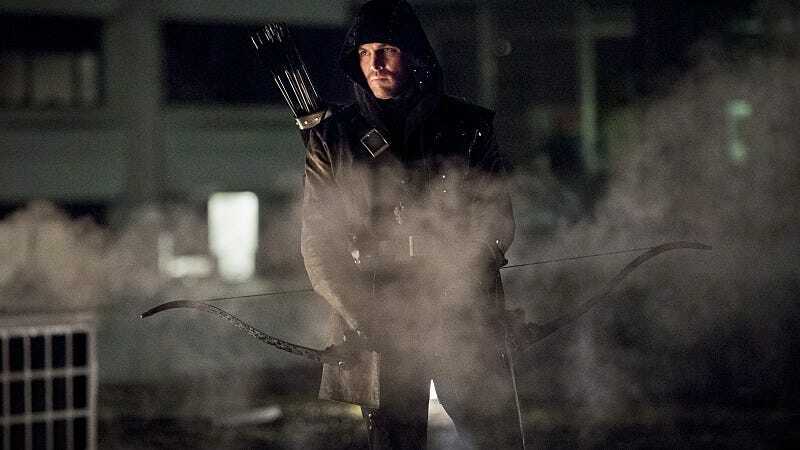 And yes, the last few episodes have made it clear just how vulnerable a place Oliver is in—I mean, one recent episode was titled “Broken Arrow”—but there’s a bit of a difference between a general sense of loss and the actual, forcible removal of all that used to make Oliver who he was. Surely Oliver, no matter how defeated he might feel coming in or how committed he might be to safeguarding his sister, would put up a fight against the League’s conditioning? Let me be clear: This isn’t a complaint about the logic that has brought the show to this point, as that is what it is, and I don’t have any issue with the storytelling decisions in and of themselves. This isn’t really meant as a complaint at all, honestly; this is more just an observation that there’s at least one inherently compelling story about the breaking of Oliver Queen that the show almost completely elides, condensing the relevant material into an opening montage about Oliver’s torturous conditions and an encounter with a hallucinated John Diggle, a scene that’s mostly remarkable for how easy it apparently is for Oliver to kill a man he believes is his best friend. Again, this is all explained and makes sense in context, as Malcolm Merlyn makes clear to the remnants of Team Arrow that Oliver would not even be aware of his brainwashing as it was happening. Conceptually, that’s a really interesting idea. But interesting ideas don’t always translate into compelling television, and this particular idea can’t provide much more than that admittedly solid opening sequence. After that, the show has to shift the focus onto how Oliver’s friends deal with his loss. The comparison I keep coming back to is Star Trek: The Next Generation’s “The Best Of Both Worlds: Part Two,” in which the crew of the Enterprise must reckon with a Jean-Luc Picard who has been assimilated into the Borg. Now, that is an all-time great hour of television, so just about any episode is going to suffer from that comparison, but it’s still instructive in pointing out some of the wonkier storytelling decisions on display in “Al Sah-him.” That Star Trek episode is so brilliant in part because the adversary is Picard, even if he’s also Locutus, and so Riker and company must come to terms with all that Picard taught them and then forget it all if they have any hope of defeating the Borg. Here, Al Sah-him doesn’t appear to carry over much of Oliver’s tactical brilliance, as he falls for the trap at the hostage exchange just as easily as any other random League henchman would. Again, Arrow is doing something different than that, so it’s not fair to judge it for not making the same storytelling decision as another show. It’s just that, once more, Arrow chooses a narrative path that’s undeniably interesting on paper but damn hard to translate to the screen. Al Sah-him isn’t a kind of twisted, dark inversion of Oliver, like Locutus was for Picard—consider how he ends his introductory scene by calling Riker “Number One”—but rather the complete lack of Oliver. That’s a worthy storytelling idea all on its own, but it’s always trickier to make the absence of something as compelling as the presence of anything. This speaks to what I’d say has been the larger issue with season three: Last year wasn’t always smooth sailing—I remember well the commenter insurrection I started over my “The Man Under Hood” review in the middle of the Slade Wilson arc—but it was always very viscerally about something clear and definable. Slade Wilson’s rage gave shape and structure to the season, and his sense of purpose informed the storytelling that unfolded around him. Season three, by contrast, has been a year of lost souls, and that applies not just to the heroes but to the villains as well. This has been a year of people presiding over crumbling kingdoms, whether it’s Oliver dealing with the slow disintegration of his once assured place as Starling City’s protector, or if it’s Ra’s al Ghul trying to sustain the League as the effect of the Lazarus Pit begins to wear thin. It’s like every character—except Laurel, funnily enough—is in their own version of Laurel’s second-season pill-popping, drunken haze of a plotline. Because most of these characters are more naturally interesting than Laurel, their drifting tends to be more compelling and better-handled, but even so: When no one quite knows why they’re doing what they do anymore, it’s really hard for the narrative to snap into focus in the way it needs to. It’s still possible for that to happen, and I’d be remiss if I didn’t point out that there are two brilliant moments in tonight’s episode: Oliver’s kidnapping of Lyla and Thea’s willingness to put an arrow through the man who was once her brother. Those are the kind of clear, decisive moments of character progression that often defined the back halves of the show’s first and second seasons, but they’ve been harder to get to this year when everyone appears stuck in the same cycles. “Al Sah-him” is a decent episode of Arrow, and thinking about it now has helped me get the clearest take I’ve yet had on what it is this show is trying to do with its third season. (Not saying I’m necessarily right, but this is the interpretation that I’ve come up with that makes the most sense to me, which is a plus.) I think I get what Arrow is aiming for, and I respect the hell out of it attempting to pull off something so complicated, even obscure. But yeah, I’m not exactly surprised that the story they have chosen to tell has proven so frustrating to watch. This is one of those reviews that veered into big-picture territory right from the get-go, so I didn’t end up having as much to say about the finer points of the episode itself. But! Nyssa and Laurel bonding over fries and milkshakes is adorably awkward. (Or awkwardly adorable. But NOT adorkable, because I’m pretty sure even Zooey Deschanel loathes that word.) Still interesting that Laurel would make the exact same mistake of concealing vital information from Nyssa that she made with her father. Say what you will about Malcolm Merlyn, but he’s a very supportive father. As long as said support involves providing the resources necessary to go to war with the League of Assassins, but still!